Sunfishing. End swapping. Windmilling. Crow hopping. 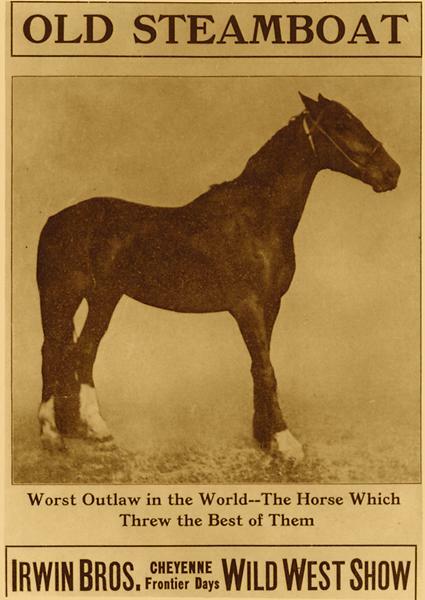 At three years old, the day came when a saddle was put on him, and all hell broke loose. “He blowed up at me and we had one of the damnedest saddle fights you ever saw,” said top hand Jimmie Danks. 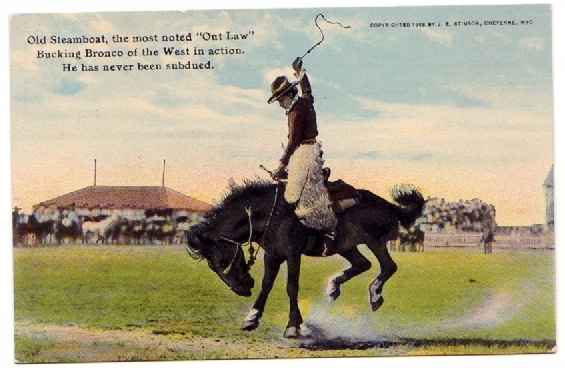 It became clear, after no one could successfully ride the outlaw, that the horse was born to buck, not cut cattle. 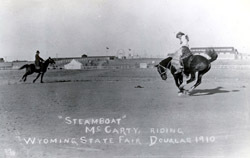 Steamboat was sold to a bucking horse contractor named John Coble and was soon wowing crowds and tossing cowboys like ragdolls in Denver arenas, then the Cheyenne Frontier Days, where he became a wicked, twisting, celebrity bronc. He threw off the best riders in the circuit. In those days, a win did not constitute an eight-second ride. 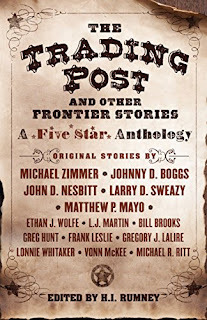 The contest wore on until either the cowboy was on the ground or the bronc stopped bucking. In 1903, Guy Holt managed to stick on and also happened to be photographed by B.C. Buffum, a professor at the University of Wyoming. 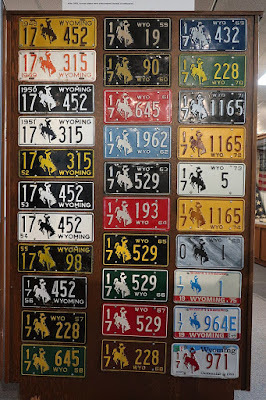 The image of the desperate battle between the horse and rider inspired the university’s logo and, most agree, the iconic bucking silhouette pictured on Wyoming license plates. Only a few riders would stick out a ride on Steamboat over his long career. When he retired, he became an equine star in the Irving Brothers Wild West show. In 1914, he was badly injured on barbed wire during travel and contracted blood poisoning. Steamboat was taken to his native Wyoming but the prognosis was grim. 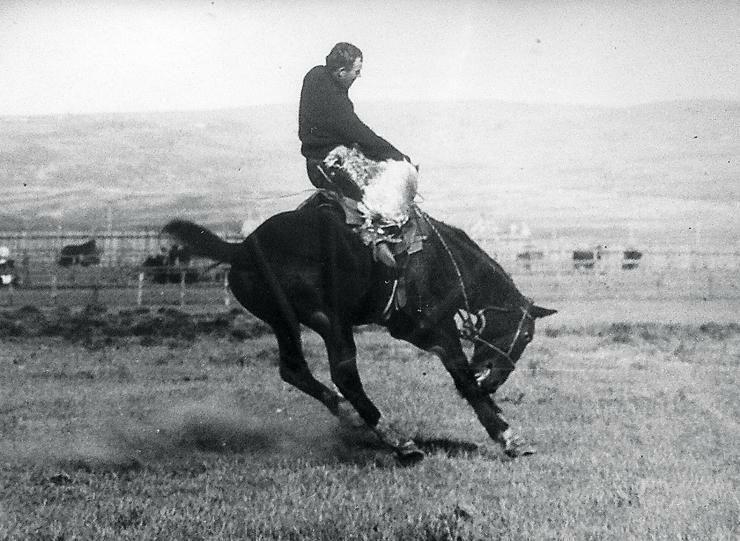 One of rodeo’s greatest bucking broncs of all time was put to death with a rifle that had belonged to the notorious Tom Horn, in a dramatic end-twist of Wyoming history. "I've seen 'em all for 65 years and I never saw a buckin' hoss to top Steamboat. First off, he was big and powerful—1,100 pounds—and tireless. Fact is, he was the closest thing to perpetual motion that ever wore hair. He'd start to squat when they threw the saddle on him and by the time the bronc buster was set in the stirrups Steamboat's belly'd be almost touchin' the arena dust. Then, the second they'd jerk that blindfold he'd explode! He'd bust out to the middle of the arena as if he wanted the stage all to himself and he'd put on the damnedest exhibition of sunfishing and windmilling I ever seen. His best trick was to swap ends between jumps and come down ker-slam on four ramrod legs. His head and forelegs would be twisted one way and his rump and hind legs another. When he was goin' all out, he seemed to be on a great big invisible pogo stick. Few men could stand that kind of battering without bleeding from the nose, and most became nauseated as well. 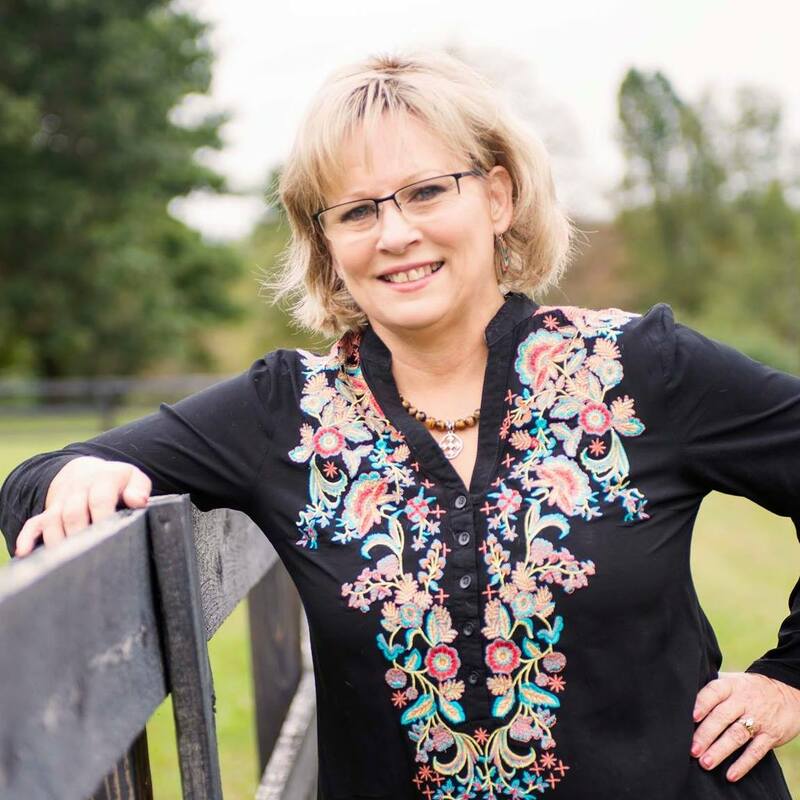 Sometimes, no matter how tight a rider laced his buckin' corset, he'd wind up with broken ribs. 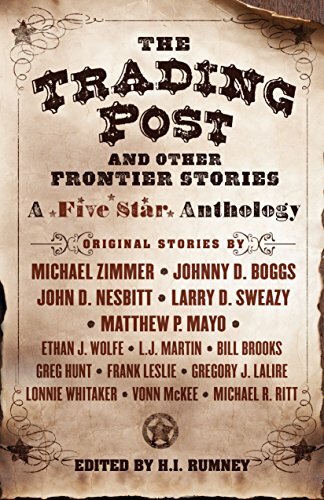 Bronc riders are harder'n scrap iron, but ol' Steamboat put some of the toughest into the hospital for repairs." Good story, Vonn. I really liked it and a good connection to history. Nice! I enjoyed the post. Great story about a great bronc. 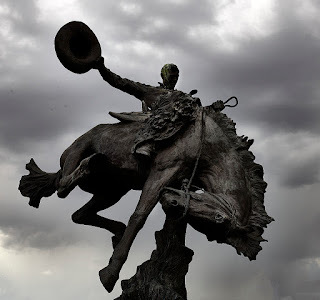 Fascinating story of a great bronc. Many thanks! Great post - I see that bucking horse on my licence plates every day. Wonderful story, Vonn. 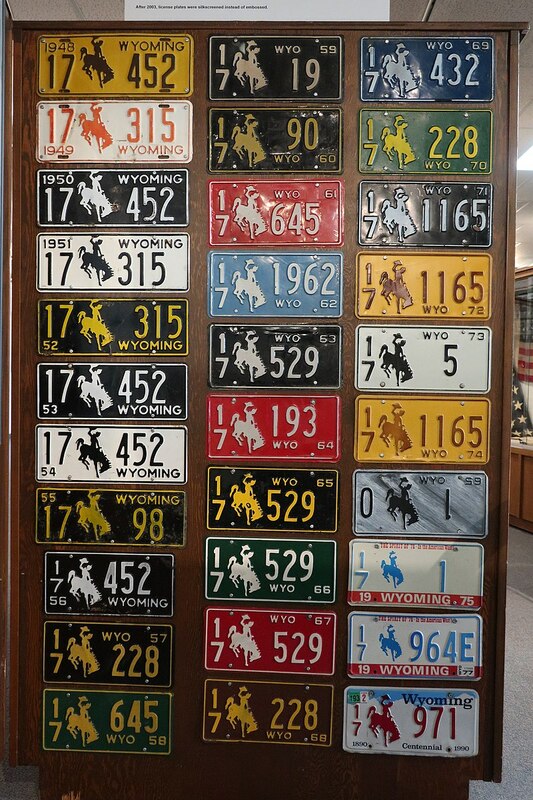 Never knew where the Wyoming logo came from. Thanks for the lesson. 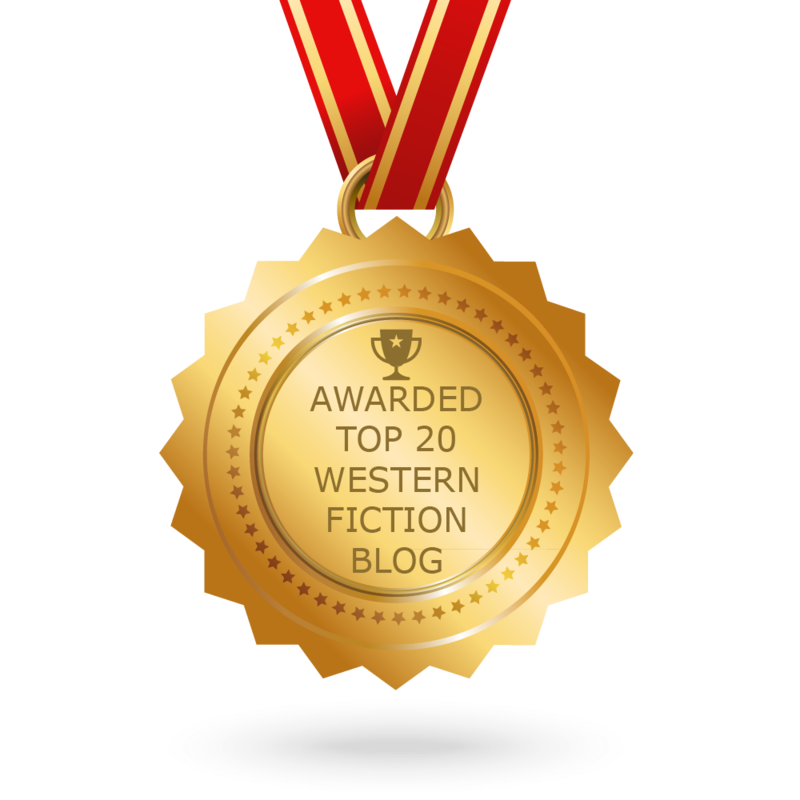 Thanks to all who stopped by the blog today and for your kind comments. I do love a scrappy horse story!